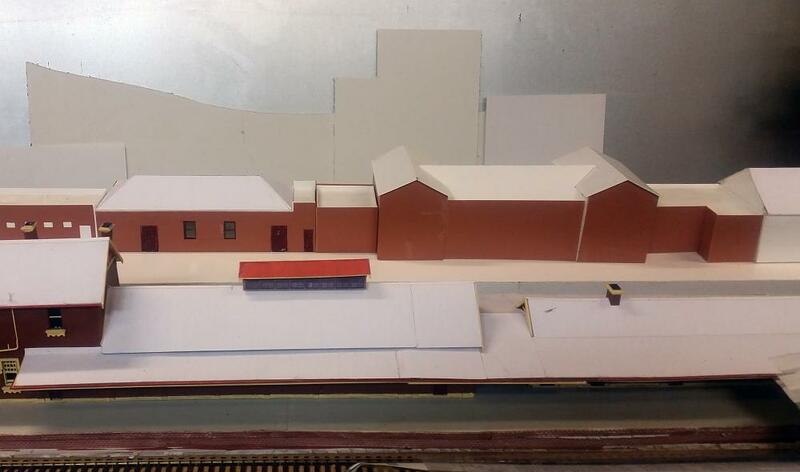 During November we pressed on with work on the main station building. The only remaining part of the station buildings we needed to construct was the central main entry section of the main station building. This part of the station at Goulburn is over 100 years old and includes some quite ornate detailing. 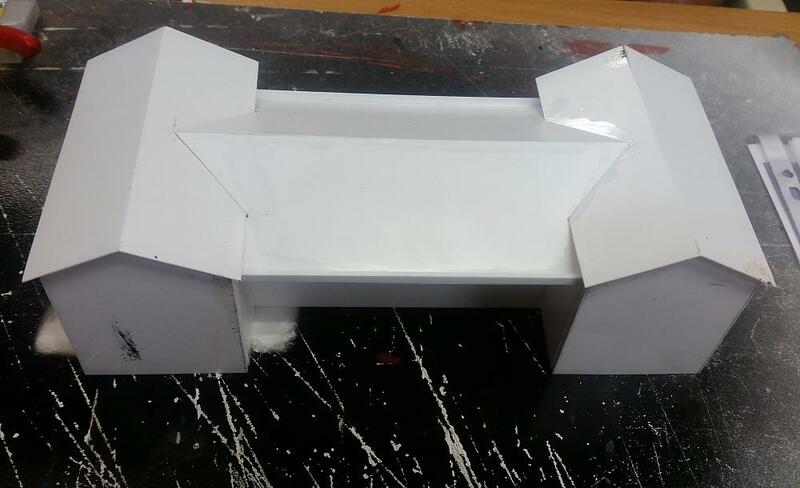 We used our tried and true method for this building of first constructing a shell from plain styrene sheet. This will then be clad in embossed brick styrene sheet and corrugated cardboard for the roof, and then have details added later. The finished styrene shell of the central main entry section of the main station building. Some of the detailing items we produced using 3D printing were then placed on the styrene building shell to see how they looked. The corner quoins and the 2 bay windows for the front of the main building were the most critical items as this part of the building will be front and centre on the layout. 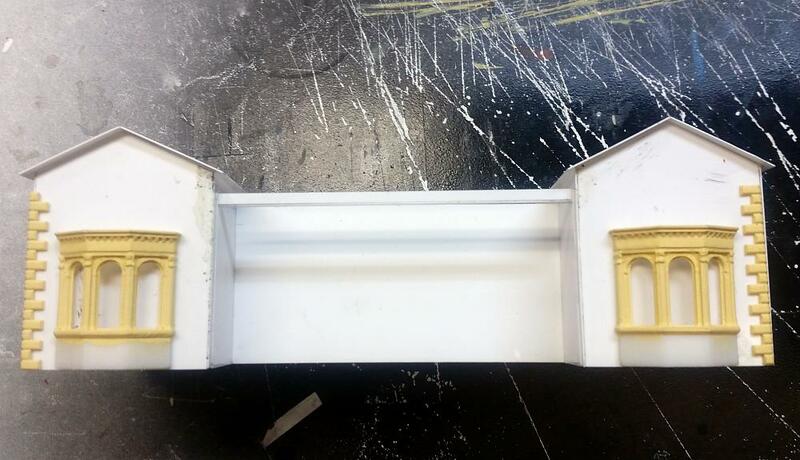 These 3D printed items were pre-painted in their final cream colour as it would be far easier to pre-paint as many items as possible before installing them rather than trying to â€˜cut-inâ€™ with different paint colours after we install the many small parts and detail items. The central main entry section of the main station building viewed from the front and with some of 3D printed items placed. After cladding this part of the building in brick sheet it was then positioned in between the other buildings we had already constructed, and test fit for clearance and appearance before we proceeded too much further. A broader view of the station buildings as viewed from the backdrop side (minus the backdrop). The styrene shell of the central main entry section of the main station building has been clad in brick sheet and inserted between the other component buildings of the main platform station building.